Today, I would like to welcome you to the last Welcome Sponsors post as you know it. Yes, much has been going on around Kanelstrand lately and we are steadily moving up on all levels. Starting March all Kanelstrand sponsors will be sharing their discounts with our newsletter subscribers, leading to a deeper level of contact between artists, designers and all of you, who appreciate handmade products! 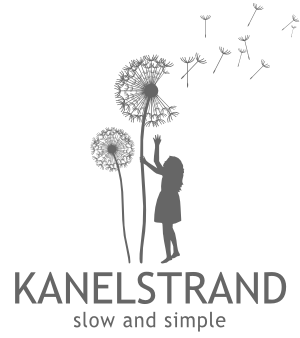 If you want to keep updated with all the amazing goodies offered through Kanelstrand I strongly encourage you to sign up for our free newsletter now! There is yet another exciting news that has very much to do with the Kanelstrand sponsors and the increase of your interaction with them but I will keep it secret until it becomes reality next month. Yay! I am excited with everything that is to come because it will not only increase the popularity of all Kanelstrand sponsors but it will increase your pleasure in getting to know them. So, today, say Hello to the eco-friendly February sponsors on Kanelstrand and Goodbye to the old layout of presenting them! Take a moment to get to know these amazing crafters and visionaries, like them on etsy and go through their shops and don't forget to take advantage of the generous discounts they have for you! 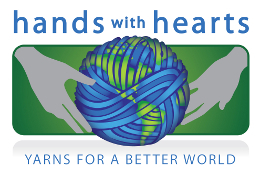 Hands with Hearts is a brand new online yarn shop offering a selection of the best natural yarns for knit and crochet! I promise to be your eyes and hands in choosing yarn. I will answer all your questions and help you find the perfect yarn for your project! My motto is "everyone deserves a little luxury". I offer free world wide shipping all the time. I only sell yarns and accessories from companies that are committed to responsible development for people, animals and the environment. Buying socially and environmentally responsible is also very important to me. On my search for natural fibers I discover wonderful companies, big and small, who are working hard to empower women. Any small thing we can do to reduce poverty and illness particularly for the children of the world is very important to me. People who produce natural fibers are also concerned with the environment, how to properly treat the animals, how to produce and dye wool with fewer or no chemicals, using plants to create yarns. "I am a silk artist and mother of two almost three little ones. I am an American, but I live in Latvia, a small country in Eastern Europe, nestled between Lithuania and Estonia. I paint a variety of silk accessories including scarves, wraps, neckties and hats. I am glad to do custom orders and trades. I delight in satisfied customers, and offering you the most unique, fun and gorgeous silk accessories around! Peacock scarves and ties are some of my best selling items and come in gorgeous tones of turquoise and purple. I blog about life, mothering, pregnancy, cooking and of course my art! Coupon code KANEL10 gives you 10% off your entire order. I was invited to be part of an Advent Conspiracy holiday DIY fair when my oldest was just 6 months old. It was designed to give people ideas of gifts they could make themselves, instead of buying things their relatives didn't actually need. I decided to show people how to felt sweaters so I made several different items out of the felted wool as examples. My daughter wore the little hat I made all winter and I got so many compliments on it that I realized I'd hit on something worth selling. I make quite a few other items now but the hats are still my biggest sellers. I'm lucky enough to live in Portland, Oregon where green space is abundant and we have curbside composting. It's a very "green" city and I love being surrounded by people who care for the environment. I run a nature-based day camp for kids and get to spend my summers in a gorgeous state park, helping kids age 4-14 develop a sense of wonder and curiosity about the natural world. Coupon code kanel10 gives you 10% off your order. Hello! My name is Brittany and I'm the girl behind Pro-Soap Propaganda. I make awesome, fun soap from organic ingredients and natural colorants, such as herbs and spices. I wrap my soap in colorful origami paper and washi tape. This soap is HAPPY and makes you feel good! They smell fabulous!! I also blog over at Pro-Soup Propaganda about fun adventures I'm up to, eco-friendly finds, yummy-looking recipes, and much more! (Yes, I am both pro-soup and pro-soap!) I am currently saving for a month-long trip that will fulfill a lifelong dream for me. I'm going to Antarctica! Well, and South America and Easter Island, too. I save $1.50 from each soap sale to go toward my travel fund. I'm really, really trying to get there in February, 2014. Your buying soap helps fund my trip. If you feel like checking out my funding page or like donating a small amount for the heck of it, please check out my Smarty Pig page. When I return I promise to post lots of pictures of moai (the rock statues of Easter Island), penguins, minke whales, albatross, and probably more photos of rocks and ice than you will ever care to see! Coupon code KANEL10 will give you 10% off your order! I author the homemaking blog, Deborah Jeans Dandelion House where you'll find creative seeds for your homemaking hands, heart and soul~ I am a wife to my handsome Yankee husband, home school mom to two pretty terrific kids, artist, writer and home arts enthusiast. Dandelion House is my place to share everyday beauty, inside and out. Meet the Cottage Hens, stroll my organic gardens, ( weeds and all ) and enjoy recipes with fresh, wholesome ingredients. Join me in the workshop for up cycled trash to treasure makeovers too! There's magic in coming home! I am also honored to write for MaryJanesFarm as their BEACH farmgirl blogger!" With coupon code Kanelstrand you get 15% off your entire order. After being on the recession roller coaster for two years, I decided to get off and forge new paths. What I have found is a better way. That living with less, actually means living with more. A simply good life. is a lifestyle blog that explores how lower standard of living, doesn't mean lower quality of life. After years of writing for clients in the public relations industry I decided to break out on my own. My blog chronicles the journey of a young millenial couple in recessionary times. I live with my husband, and two cats, in Bethlehem, Pennsylvania. Hello! I'm a photographer from sunny Brisbane Queensland Australia. I have a range of TtV (Through the Viewfinder), lomo and vintage style fine art photography prints for sale covering a variety of themes. Affordable wall decor for your home, office or creative space! What an honor to be included among your sponsors for February! I've so enjoyed getting to know you and some of your readers and I look forward to learning more in the future! God Speed!